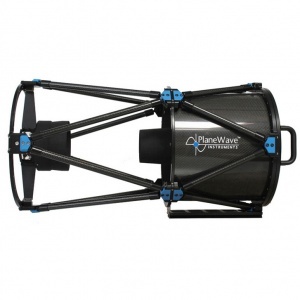 The PlaneWave Instruments CDK14 is a 14 inch (0.36 m) f/7.2 Corrected Dall-Kirkham Astrograph telescope. The CDK14 covers a 70 mm field of view without any field curvature, off-axis coma, or astigmatism. 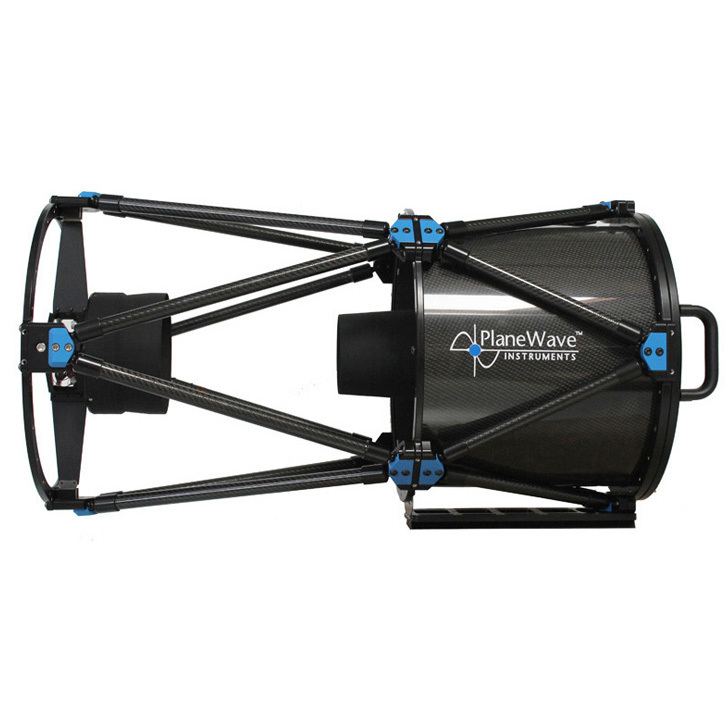 The CDK14 is a lightweight carbon-fiber truss design weighing less than 50lbs, with 3 cooling fans blowing air throughout the back of the telescope. 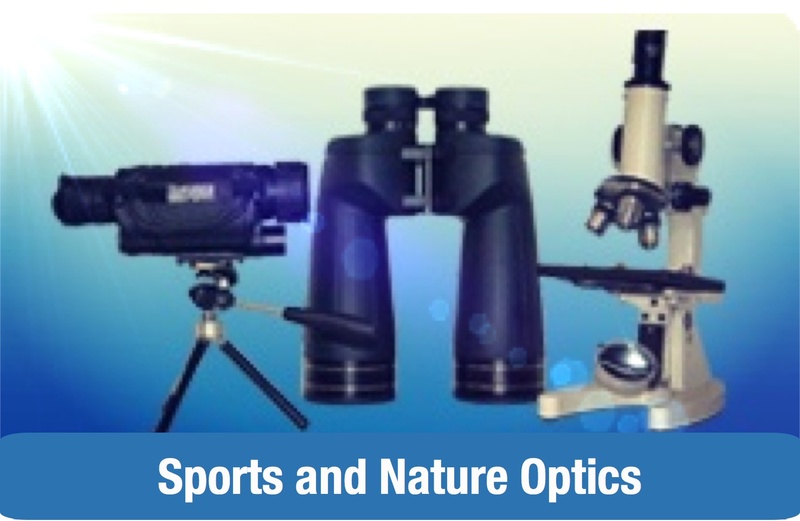 The CDK optical design is the innovative solution for unsurpassed astro-imaging quality at an affordable price. 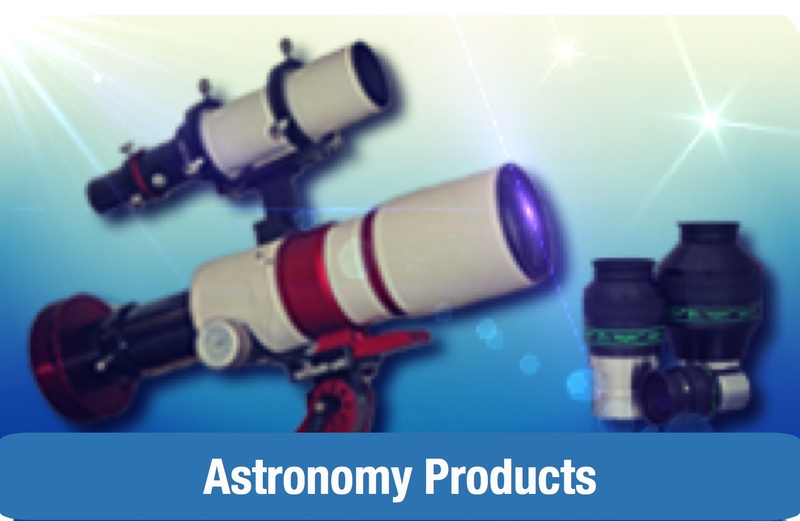 The CDK (Corrected Dall-Kirkham) Optical Design is an innovative solution for unsurpassed astroimaging quality at an affordable price. 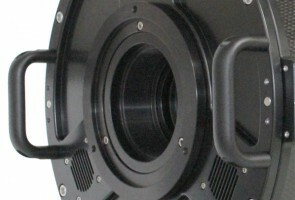 The CDK telescope design provides excellent imaging with large format CCD cameras while remaining superb for visual use. The CDK design far exceeds the off-axis performance of most commercial telescope designs including the Ritchey-Chretien design. perfectly flat field (no off-axis defocus). 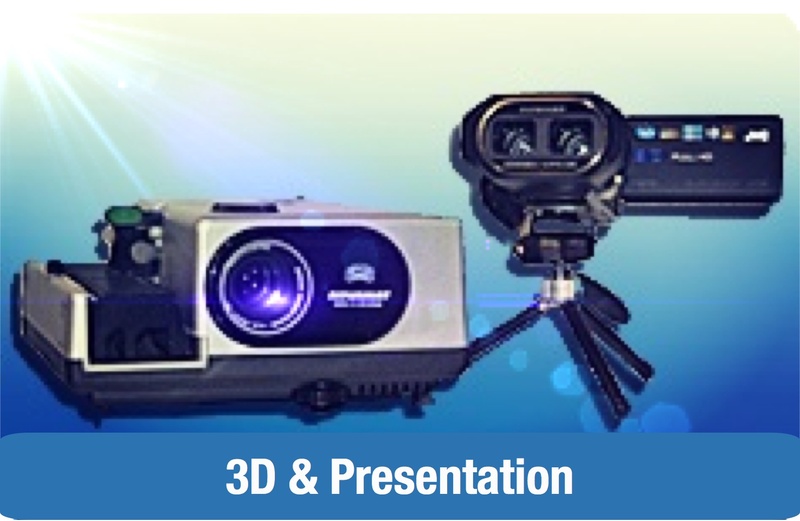 The CDK design will give you pinpoint stars from the center to the corner of the field of view. Carbon Fiber Truss Design: Open truss tube design with carbon fiber frame minimizes thermal expansion which causes focus shift with changes in temperature. Carbon fiber truss design also promotes quick thermal cooling and provides a rigid, lightweight structure. 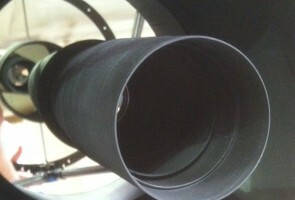 3D Printed Baffles: Planewave uses digital 3D printing technology to produce lightweight baffle tubes. 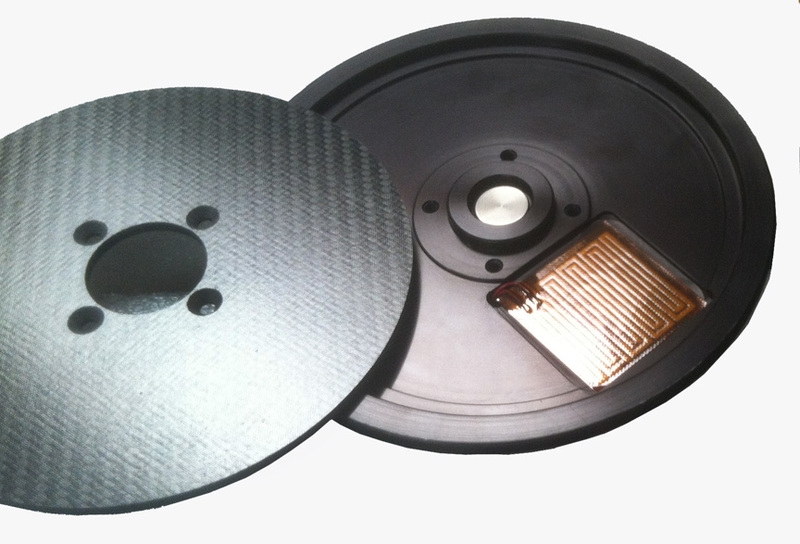 3D printers add successive layers of material to construct a baffle system with precision positioned internal stray light baffles to minimize vignetting and maximize image contrast. Dovetail Expansion Joint: Allows for the difference in thermal expansion between carbon fiber and aluminum. 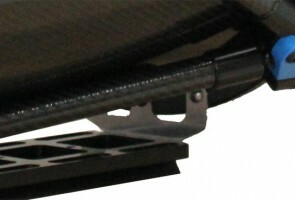 The expansion joint allows the aluminum dovetail expand and contract without stressing the carbon fiber lower truss. Cooling Fans: Three cooling fans blow air inside the back of the telescope. Internal diverting fins circulate air flow behind the mirror for even cooling to help the telescope reach thermal equilibrium quickly. 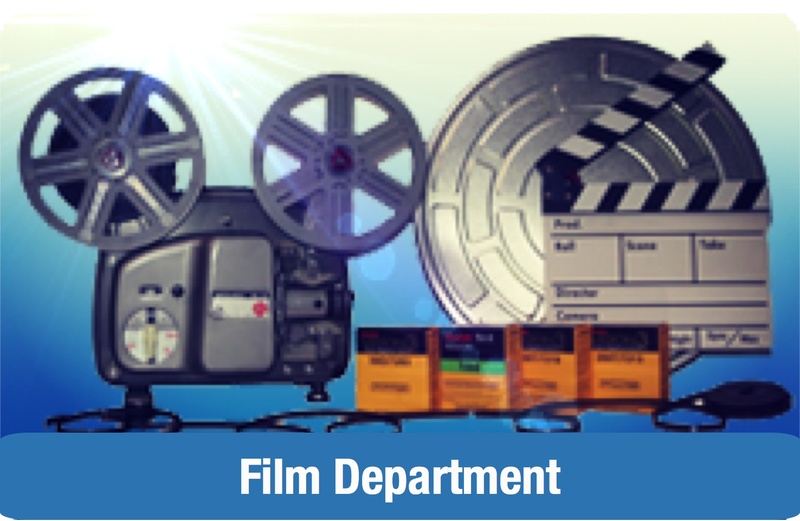 The fans are controlled with PWI PC software with the optional Electronic Focus Accessory (EFA Kit). Delta-T Ready: For added dew prevention, the CDK14 is internally wired with polyimide film heater pads and temperature sensor, ready to be controlled with the optional Delta-T controller. 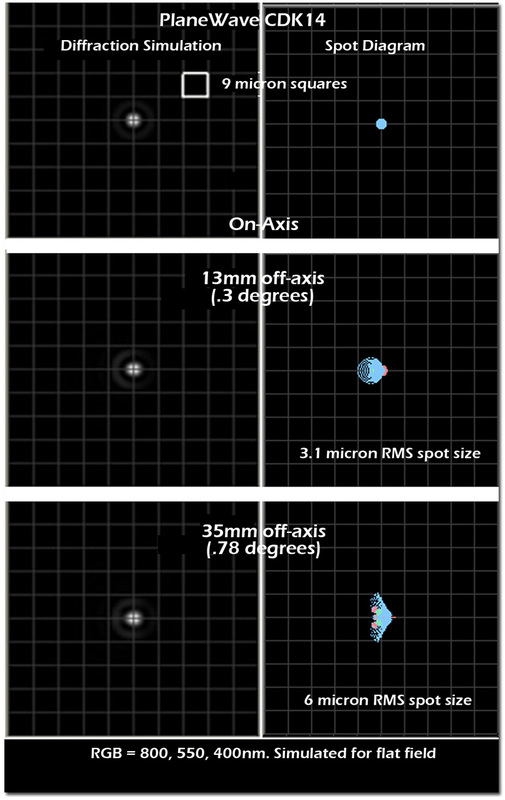 CDK Optics The Corrected Dall-Kirkham design yields a perfectly flat field free from off-axis astigmatism, coma and defocus. Cooling Fans Three cooling fans blow air inside the back of the telescope. This helps the telescope to reach thermal equilibrium quickly. 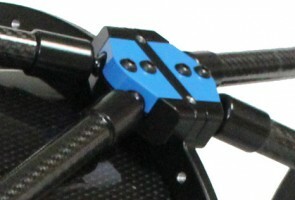 The fans are controlled by a computer if the optional Electronic Focus Accessory (EFA Kit) is purchased. Delta-T Ready For added dew prevention, the CDK14 is internally wired with polyimide film heater pads and temperature sensor, ready to be controlled with the optional Delta-T controller.